Whilst attending the 2010 World bog snorkelling event in Llanwrtyd Wells, we came across a guy called Tony Bain sitting next to another small bog with an odd looking assortment of bath tubs. Before long we were talking about the new sport…bathtubbing! We were offered a go at this new sport and not being one to turn down such an opportunity I was soon climbing gingerly into a bathtub. 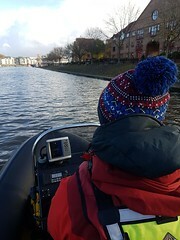 As I launched down the sloping bank in to the boggy water armed with a kayak paddle it suddenly became apparent that I was in the most responsive vessel I had ever been in. It takes all of your balance to keep the tub level and after a wobbly start (much to the amusement of any onlookers) I found that the best way was to just go for it. As you get a bit of momentum up, you seem to gain more control, it’s a novel way to paddle and a very strange and novel concept compared to any other boating sports I’ve tried! 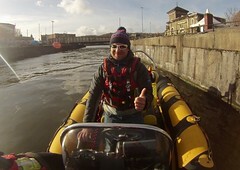 I have to say it was a right laugh and navigating around the bog and the markers was a real challenge. 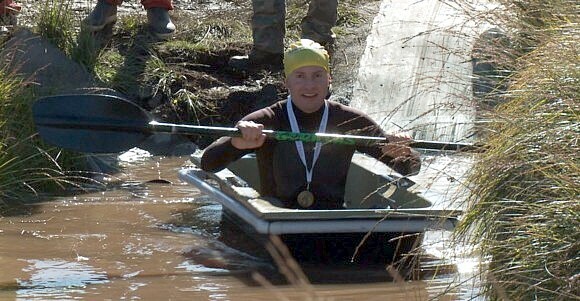 Bathtubbing will now feature at the world bog snorkelling championship, and will also be a part of the ‘World Alternative Games’ in 2012 being held in Llanwrtyd Wells. These games are an alternative to the 2012 Olympics and offer the chance for all to take part. It is also hoped that Bathtubbing competitions will be established around the country with the championships held in Llanwrtyd Wells each year.